Hippocrates, the Father of Western Medicine, believed that all diseases begin in the gut. 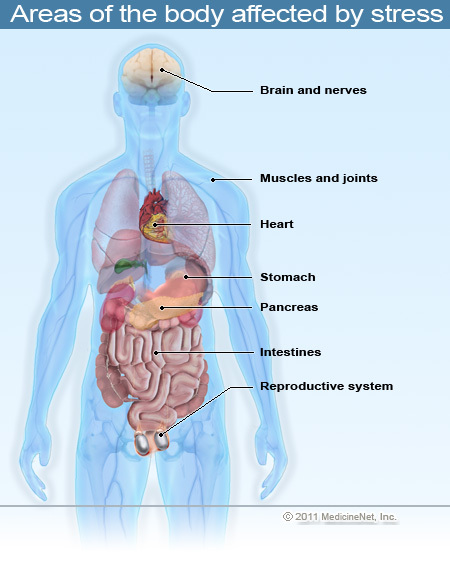 The digestive system is directly linked to the immune, nervous and endocrine systems. It’s the avenue through which nutrition is taken in, broken down, absorbed, assimilated and incorporated into our bodies. If your gut is healthy, chances are you’re healthy. Our modern western lifestyle, however, is far different than Hippocrates’ was in 460 BC. We exist in a culture of stress (which exacerbates digestive issues). We’ve strayed from the daily organic farm to table tradition. And we cohabitate with countless manufactured toxins. From the way we live to the way we feel, our bodies suffer from pervasive threats to our digestive health. Stress can cause and exacerbate digestive ailments. In their presentation, “Real Food: Gut Health,” Laura Stout, R.D., and Phaedra Fegley, M.D. and Director of Integrated Health, discussed our most common gastrointestinal diseases, their symptoms and some dietary suggestions. Over and over, they extolled the virtues of a plant based diet for keeping the digestive fire strong and healthy. A plant based diet reduces inflammation, increases absorption of nutrients and excretion of toxins, and fuels our bodies for optimal health. A plant based diet offers lots of fiber. Fiber is what gives plants their structure and is indigestible by humans. Fiber does not add calories to your diet, but it does play a critical role in maintaining gastrointestinal health. The fibrous portion of a vegetable is a prebiotic and can alter the composition of organisms within the gut. Prebiotic food sources include asparagus, garlic, onions, leeks and bananas. 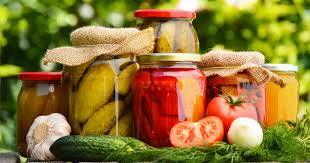 Fibrous, fermented foods optimize gut health. The intestinal wall is made up of probiotics, or strains of naturally occurring bacteria which are fed by prebiotics. Probiotics aid digestion, provide nutrients, synthesize vitamins and boost immunity. They rely on prebiotics for nourishment, so buying supplemental probiotics without consuming prebiotics is ineffective. 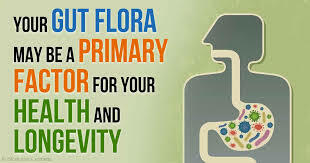 Probiotic food sources include yogurt, kefir, miso, tempeh, kombucha and fermented foods. The pasteurization process kills probiotics. Understanding and balancing prebiotics and probiotics is essential to cultivating a healthy gut microbiome so that your body can break down your food. But even so, there are foods in our modern western diet that are universally difficult to digest. FODMAP is an acronym of these carbohydrates and their restriction (the FODMAP diet) has been beneficial for people who suffer from gastrointestinal disorders. The carbs are: fructose (fruits with more fructose than glucose, honey, agave nectar); lactose (dairy); fructans (wheat, barley, rye, onion, garlic); galactans (beans, lentils); and polyols (sweeteners such as sorbitol, xylitol). Another seemingly trivial part of our culture that affects our digestive health is drinking cold liquids. Restaurants set tables with plates, utensils, napkins and ice water; it’s how we dine. But, drinking cold water is akin to squelching a fire—you’re literally throwing ice water onto a fire (your digestive system). It’s best to consume liquids that are warm or room temperature, and it’s better to drink liquids between rather than with meals. 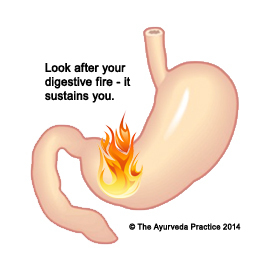 Your gut: the fire of life. Gastroesophageal Reflux Disease (GERD) is chronic damage caused by stomach acid coming up from the stomach into the esophagus. Symptoms include heartburn, regurgitation, chest pain, feeling like food is stuck in your throat and difficulty or pain when swallowing. Contributing factors can be pregnancy, obesity, alcohol, smoking and certain medications. Lifestyle changes to alleviate the symptoms of GERD include raising the head of your bed 6-8”, not lying down after eating, wearing loose clothing, and drinking liquids between meals rather than with meals. Problematic foods include coffee, tea, cola, citrus, mint flavoring, high fat processed foods, tomato based foods and spicy foods. A Peptic Ulcer is a break in the lining of the stomach, first part of the small intestine, or lower esophagus. Symptoms include pain (usually worse at night), feelings of fullness, belching, vomiting, poor appetite and weight loss. Treatment options include: antibiotics to get rid of any existing H-pylori bacteria; acid blockers; and stopping the use of NSAIDS and tobacco. Dietary suggestions include limiting the use of alcohol and caffeine as well as fatty, acidic and spicy foods. Small Intestine Bacterial Overgrowth (SIBO) is a chronic bacterial infection of the small intestine. It’s caused by bacteria that normally live in the gastrointestinal tract that have abnormally overgrown into the small intestine (and are similar to the bacteria found in the colon). The bacteria interfere with the normal digestion and absorption of food that occurs within the small intestine and cause damage to its lining. Common symptoms include abdominal gas, cramps and/or pain as well as constipation and/or diarrhea. Treatment includes antibiotics and probiotics. Celiac Disease is an immune reaction to eating gluten, a protein found in wheat, barley and rye. Over time, this reaction produces inflammation that damages the small intestine’s lining and prevents absorption of some nutrients (malabsorption). The intestinal damage can cause weight loss, bloating and diarrhea. Eventually, your brain, nervous system, bones, liver and other organs can be deprived of nourishment. The truncating of the villi lining of the small intestine is called villous atrophy. Irritable Bowel Syndrome (IBS) is the umbrella term used for all of these digestive issues. Stress, diet, medications and hormonal imbalances can play a role. Inflammatory Bowel Disease (IBD) is an autoimmune disease of the colon and small intestine. Crohn’s Disease and Ulcerative Colitis are the most common types. Currently, there is no medical cure for IBD but prebiotics and probiotics are becoming increasingly effective treatments. 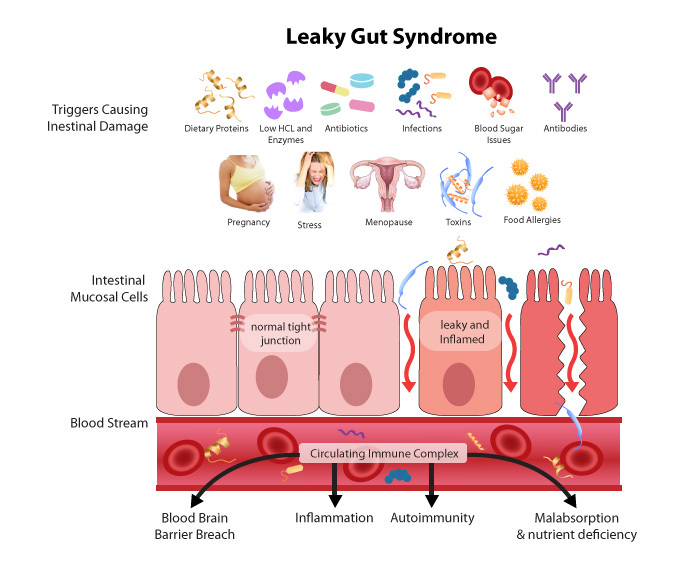 Leaky Gut Syndrome is the condition of increased intestinal permeability which allows food and toxins to leave the intestines and enter the bloodstream. Because these particles aren’t supposed to be in the bloodstream, the immune system identifies them as dangerous and creates an immune response, attacking them along with other healthy cells. Leaky Gut can cause allergies, fatigue, skin conditions, depression, anxiety, insomnia, migraines, and more. It’s important to remember that intestinal impermeability is not fixed—we all have it to some degree and it can change over time. Integrated Health’s mission is to promote self-healing through interaction of mind, body and spirit and enhance traditional medicine practices.